Huh. Same here. Is the .ASCII file supposed to be automatically loaded when you import the SMD file? Aha! I got it now with the XPS tools.. Thanks again for your work on this. I'm loving it. Cataloguing all of the models I can find in the game archive now. I want to sculpt some in clay once I find out which model they are. I saw one for the characters over at xentax. Did they have a list for the rest? That would be cool. I made progress today and rendered the Yharnam Headstone in Blender. Now I'm off to look for a few in particular. I saw one for the characters over at xentax. Did they have a list for the rest? Hello Everyone! Can someone please send me the files whenever any of you get the chance? Thank you daemon for making this possible. Thanks again! Can someone please pass me the models i would love you till the end of times. My computer says that this link is harmful. What's up with that? Can someone please send me the files? I'd be very grateful! Ok, so i know that this sounds stupid, but these look like they are in blender. can you just make .blend files instead? the exe file does nothing when i try to open it. tried re downloading several times but does not work. So can you just do another .ZIP or .RAR file or whatever you want with all the .blend files? Model tool v3 now extracts original model skeleton. Both in ASCII & SMD, and ASCII has proper bone rotations (updated noesis script to load them included). Unfortunalety not much help from it - additional bones are just submesh bones, nub bones and some more useless stuff. But you dont have to replace skeletons from anim packages anymore, they will work out of the box. Can export models from: Skyrim(+Mods), WoW, and Dark Souls 3. I seem to have answered my own question! This guy here posted a script for Dark souls Remastered that can Export TPF files and it works perfectly for Dark souls 3! Then open QuickBMS and then his BMS script then open the TPF file, I suggest making a new folder and typing "r" so you don't have the textures being overwritten and you only end up with one of the many textures, after that you'll have DDS files you can open in Photoshop! You might have to rotate by 180 degrees and flip horizontally to fix mapping issues though, I had to. 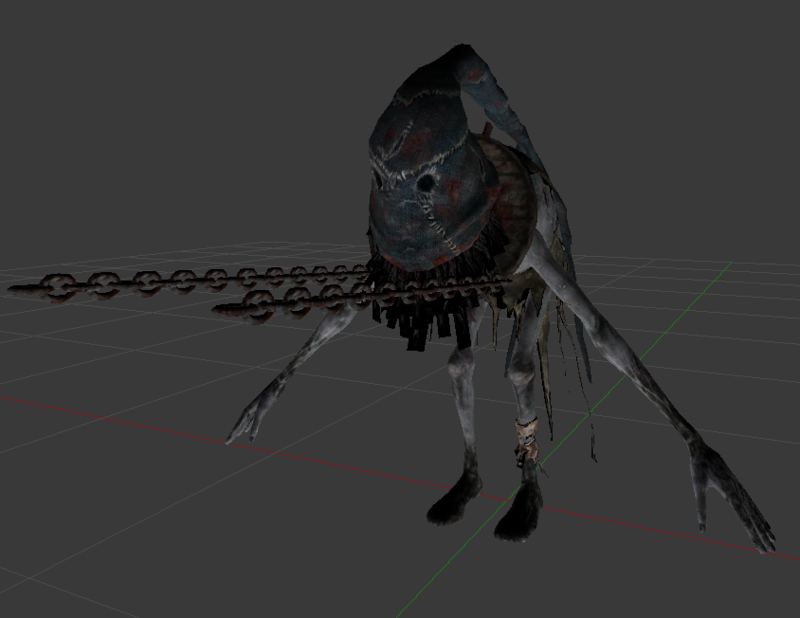 After all that I got everybody's favorite lil Thrall enemy in blender fully textured!